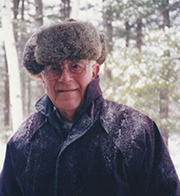 George A. Kidder, Jr., 92, of Main Street, Andover, passed away March 8 at the Merrimack County Nursing Home, after a brief illness. He was born in Concord, New Hampshire on February 11, 1927, the son of George A. and Lulu (Gordon) Kidder. After graduating from Concord High School in 1945, he joined the United States Army and served two years in occupied Berlin, Germany, following the end of World War II. Upon his return he worked for the New Hampshire State Highway Department as a sign painter for ten years before joining the United States Postal Service. 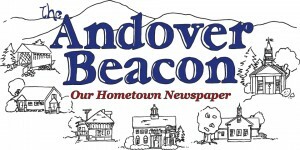 George worked at the Concord and Penacook Post Offices for 14 years before being appointed Postmaster in Andover in 1974, where he served with great enjoyment and dedication until his retirement in 1986. George had been a member of the West Concord Men’s Club and the Concord Eagles Club, and helped build Grappone Park, where his sons played Little League. He enjoyed coaching their Little League team for several years, and was president of the Concord Babe Ruth League in the 1960s. A lifelong outdoorsman, he enjoyed hunting and fishing throughout New Hampshire, claiming to have fly-fished in every stream in the state. He also enjoyed his vegetable garden every year and looked forward eagerly to spring planting. After moving to Andover, George was a member of the Andover Lions Club for over 30 years, where he served as Club and Cabinet secretary and received the Melvin Jones Award for meritorious service. He was also a proud member of the Andover Fish and Game Club. They say that there are two ways to be rich in this world – one is to have more, the other is to want less. George belonged in the latter category, and in that sense he was rich beyond measure. He loved Andover, his many, many friends, and the simple pleasures of fishing and participating in civic and local activities. He was a fixture at the annual Lions Club Lobsterfest, the Andover Fourth of July parade and fireworks, and the childrens’ trout fishing derby for many years, whether selling tickets, soliciting merchant donations, conducting raffles, cooking and serving meals, or entertaining children with his stories and antics. He was predeceased by his wives, Lucille (Ryan) Kidder in 1996, and Phyllis (Cobb) Kidder in 2008, and by a son, David, in 1997. He is survived by two sons and their wives, Lee and Susan Kidder, of Glenmoore, Pennsylvania, and Gary and Nadine Kidder, of Temecula, California; by five grandchildren, Kristy, Ryan, Eric, Allan and Allison; by eleven great-grandchildren; by two half-sisters, Paula Miner of Penacook, New Hampshire and Denise Russo of Boca Raton, Florida; and by several nieces and nephews. The Chadwick Funeral Home in New London, New Hampshire is in charge of funeral arrangements. There will be no calling hours, but the family will schedule a celebration of George’s life to be held in the later spring, with burial in the Proctor Cemetery, Andover, New Hampshire. Memorial contributions may be made to Toys for Tots, one of George’s favorite charities.